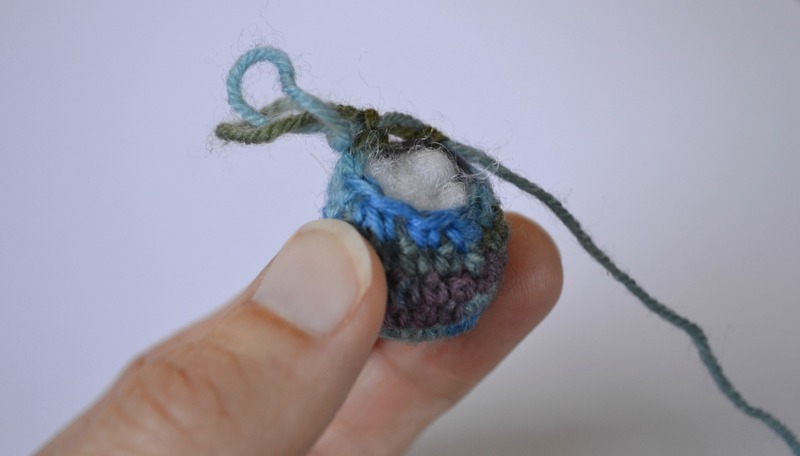 How to make your own tiny, adorable crochet mouse… just in time for Christmas! 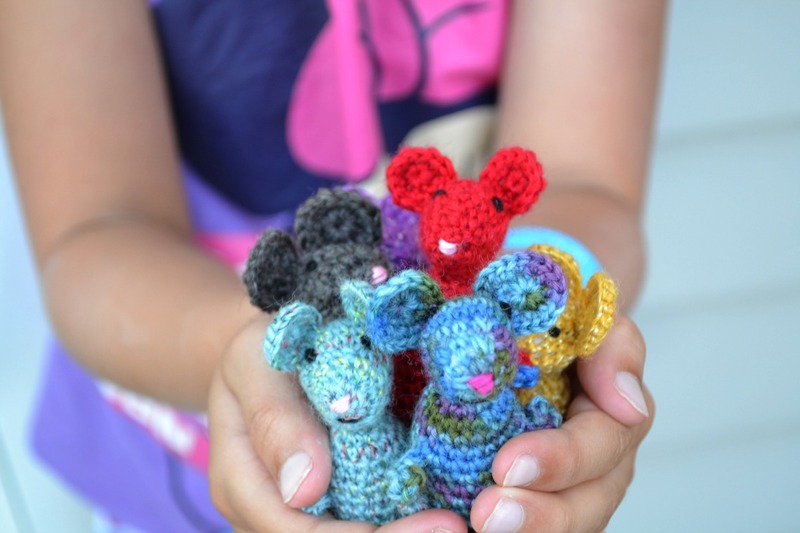 These mice are about 6-7cm tall (2.5 inches) and are perfect for small hands. 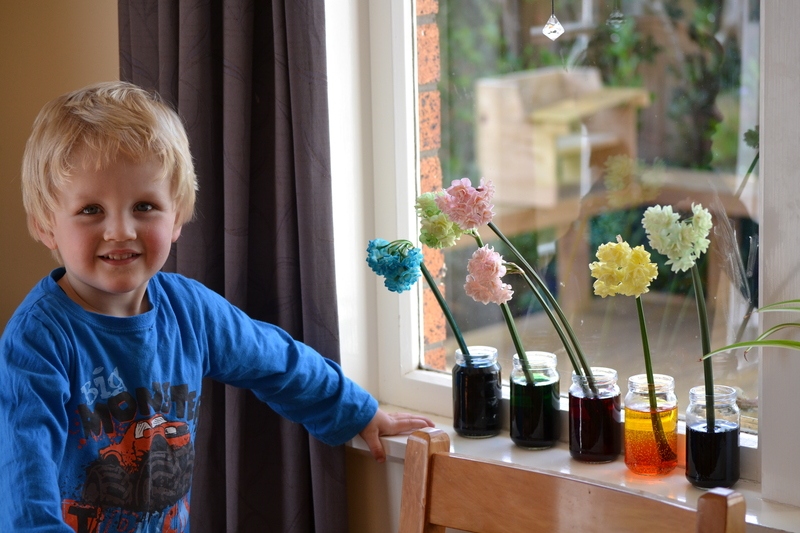 Holding…. 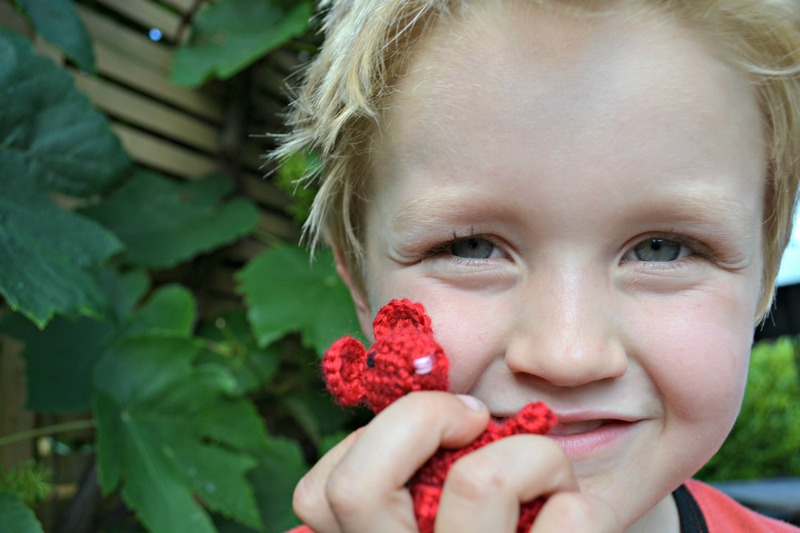 and loving♥… or even adventuring… These cuties are made in four pieces- the body, with arms, legs and tail are crocheted all as one piece. 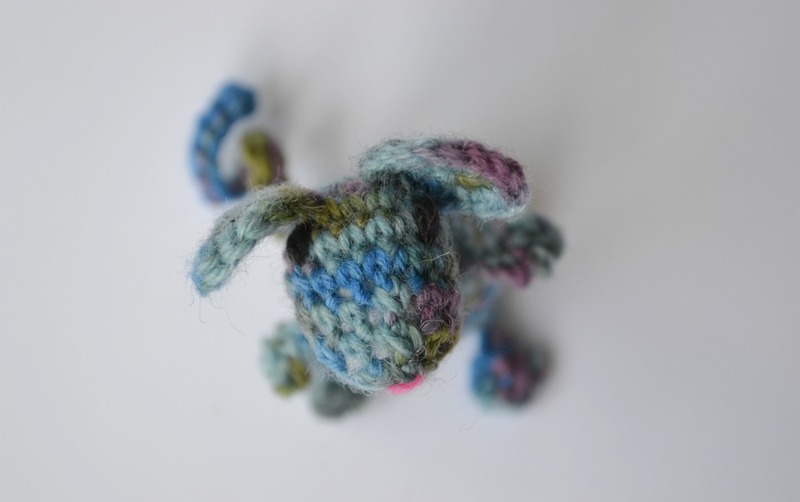 Head and ears are crocheted separately and then sewn together. 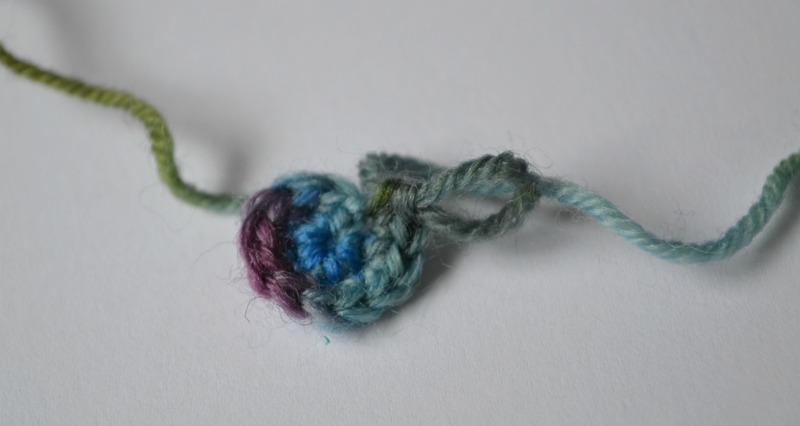 A clever little stitch called a 3 dc pop (or popcorn stitch) is used for hands and feet. It goes like this: Work 3 dc into third ch from hook, take hook out leaving loop, put hook through 1st dc & pull loop through. Hopefully the photos below will help this make sense! One other note, please use a marker to mark your rounds and keep track of where you are up to. And count your stitches at the end of each round. If you don’t, the arms and legs are less likely to match up. I know some of you are going to go ahead and not use a marker. 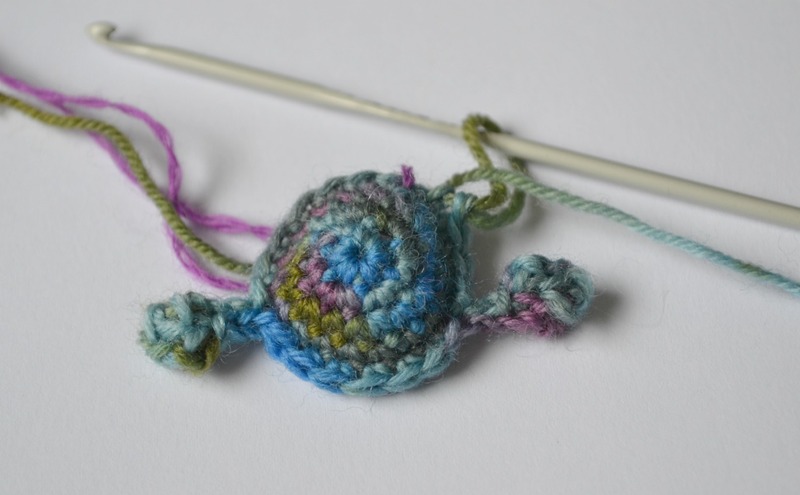 If you lose your place or end up a stitch or two out you can always eyeball it – just remember to make sure your legs are in the same stitch on the round as your arms (so they line up)! Lets begin…. Pull tight – 6 st. Round 2: 2 sc in each st around – 12 st. Round 3: [2 sc in next st, sc in next st] repeat around – 18 st. Round 4: Sc in each st around – 18 st. Round 5: Sc in next 6 st, [arm: ss into next st, ch 6, …3dc pop into 3rd ch from hook, …ss into next 3 ch, ss back into original st], …sc in next 6 st, [arm], sc in next 4 st – 18 st. Round 6 – 11: Sc in each st around – 18 st. Round 12: Sc in next 8 st. [leg: ss into next st, ch 8, 3dc pop into 3rd ch from hook, ss into next 5, ss back into original st], sc in next 6 st, [leg], sc in next 2 st (18) Round 13: Sc2tog, sc in next st, ss into next st, [tail: ch 22, ss into second ch from hook and each st, back into original st] sc2tog, sc in next st, sc2tog, sc in next st, sc2tog, sc in next st, sc2tog (12) At this point you are going to stuff your wee mousie… Round 14: Once you have stuffed it, sc 2tog until hole is closed. Fasten off leaving long end, sew in ends and securely close hole. 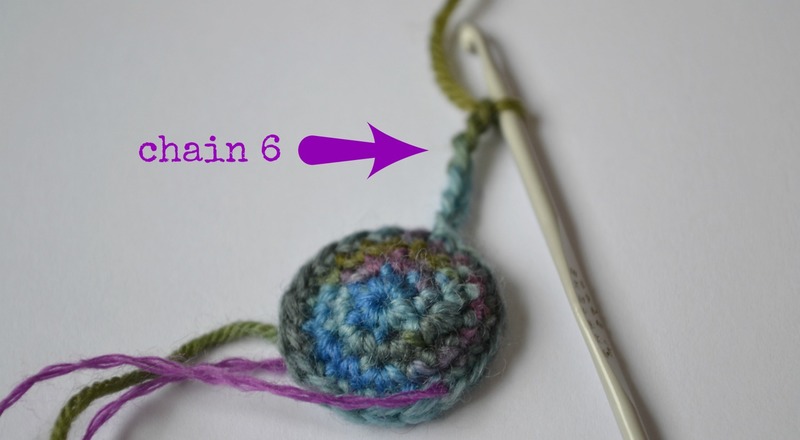 Round 1: Make a magic circle ch 1 and work 6 sc into mc – 6 st. Round 4-5: Sc in each st around – 18 st. Round 6: Sc2tog, sc in next 2x 4, Scin last 2 – 14 st. Round 7: Sc2tog, sc in next st x4, Sc2tog – 9st. Stuff as much as possible. Round 1: Magic circle, ch1 and 8 sc in circle. Pull tight, do not join. 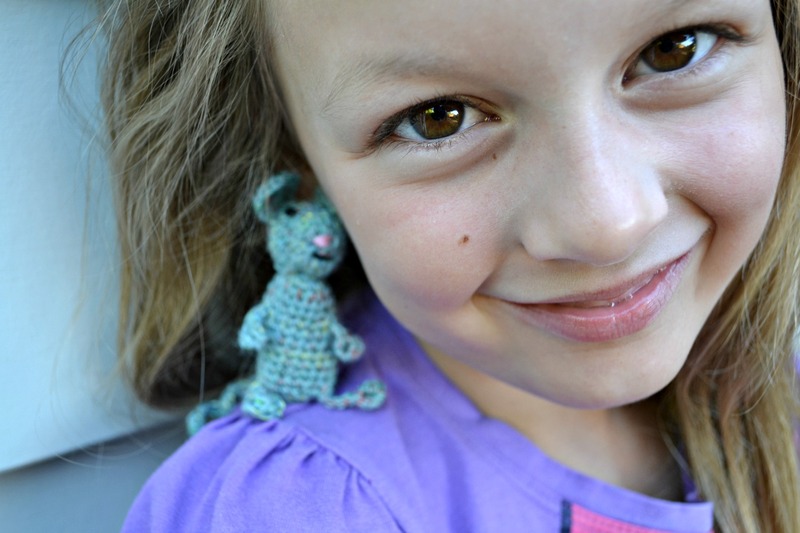 2sc in each st around, ss into next st. Fasten off and leave long end… Sew in ends, then sew ears to head. Sew face in place… no real instructions here, just use your imagination. 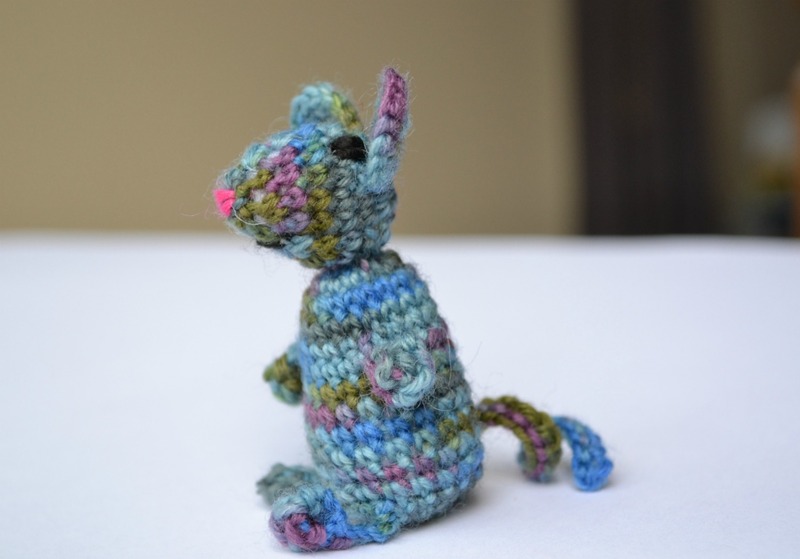 I like mousies with a pink nose and black 8ply yarn for the eyes and a tiny mouth. I tried a french knot for eyes but actually just like eyes which are a tiny stitch or two in the right spot. The face gives each one an individual personality 🙂 Enjoy your new wee friend! But be careful… they’re addictive and before you know it they multiply… like… well… mice! I hope you enjoy making these mousies as much as I do! If you do give them a try, Id love to see how they turn out so send me a pic. If you notice any errors in the pattern, please let me know! Edit to add: Find a Christmas hat and scarf for your mousie here. 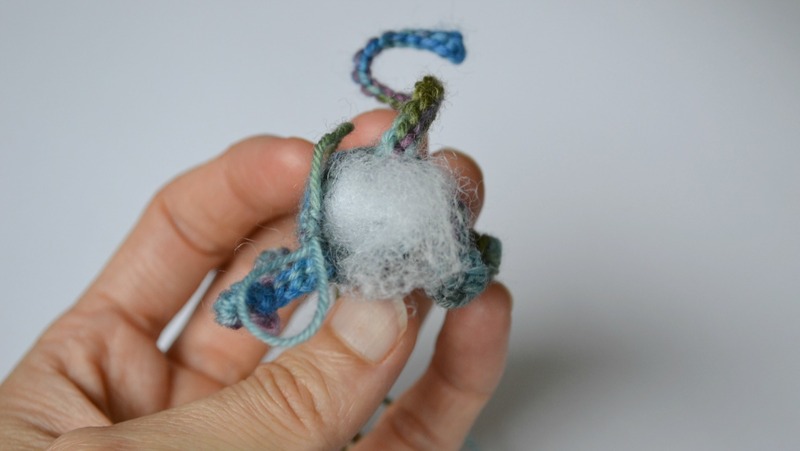 And you can find out how to make a cute mouse bed, here. I am the first of many to “like” these adorable mousies!! I love them! I may not be the first to make one first but I will be the first to get the pattern and put them in first place on my “to make” list. They are so cute. 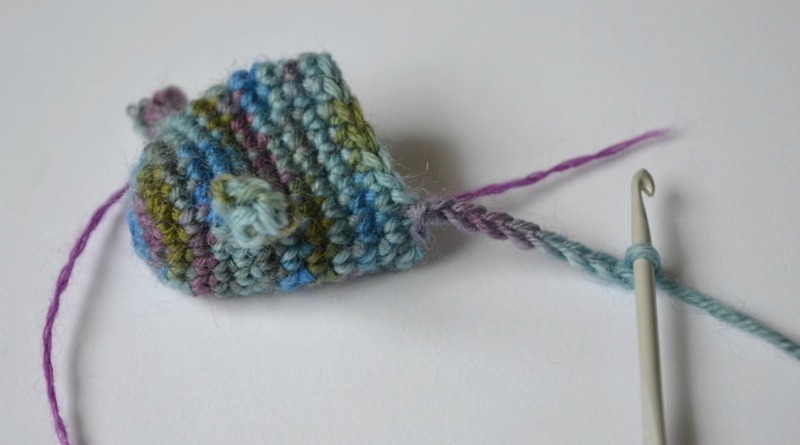 The first thought I had when I heard sock yarn, is that I would like to hide these throughout my sock (and other) draws so that I would come across them when rummaging through. I imagine it would give me a laugh when I came across them. Oh my goodness!!! My kids are going to love these little guys! Hopefully I’ll have time to make some as stocking stuffers this year. I’ll send pictures for sure if I do! Thank you for this amazing tutorial 🙂 Love your blog! I love these. They make me think of the ‘rats’ in the Muppet movies, particularly The Muppets Treasure Island when they are dancing. Une Énorme Merci ! C’est trop mignon. Forrest, our cat, will love them…..
Just the cutest thing ever!!! 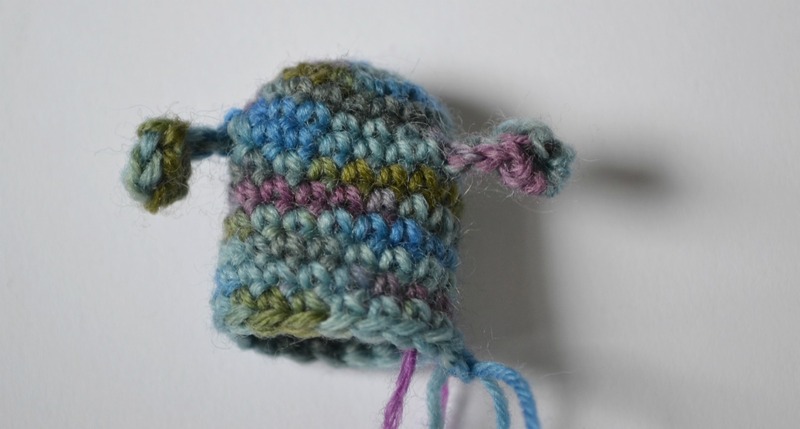 At last a project for using up those leftover bits of scok yarn! 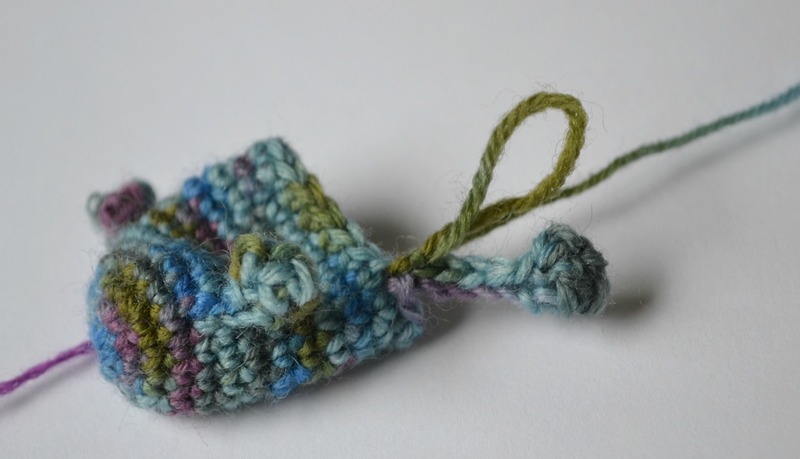 The popcorn stitch is so clever! I’m going to have to try it! 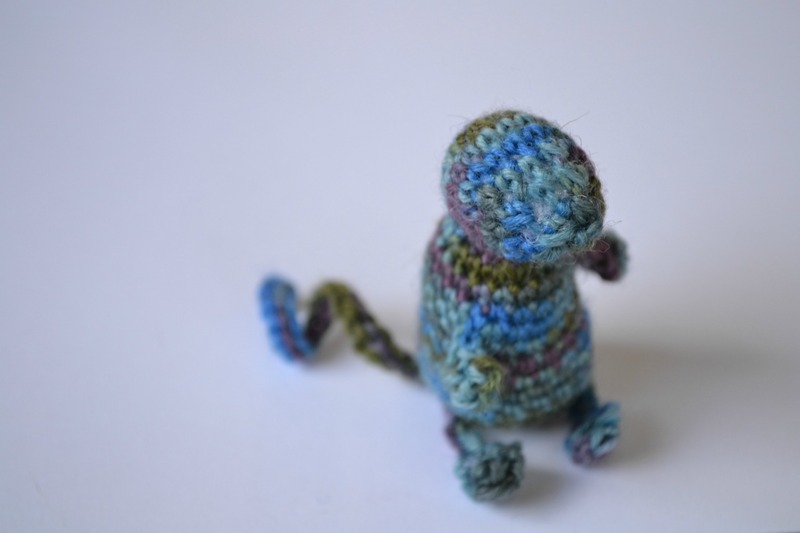 It’ll come in handy not to have to crochet the limbs and tail separately! Me encantan!!! !…ojalá me resulte tejer unos ratoncitos así de lindos para mis hijas esta Navidad. Muchas gracias por compartir este tutorial. Un abrazo. 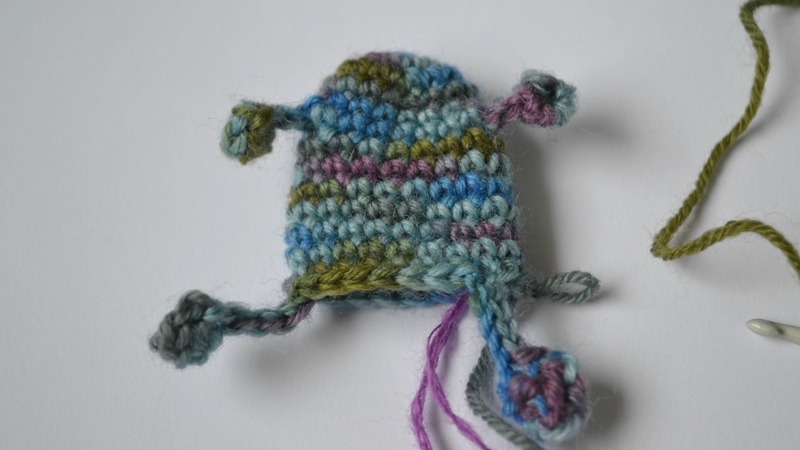 Very cute mousies:) Thanks for sharing your pattern! Going to start one today. Thank you. I have been searching and searching for the perfect mouse pattern and have been anxiously waiting for this! THANK YOU SOOOOO MUCH!!!!! And as Brenda said, may the blessings return to you multiplied, pressed down, shaken together and running over! What a clever way with the limbs and tail! Not too many pieces to sew together! 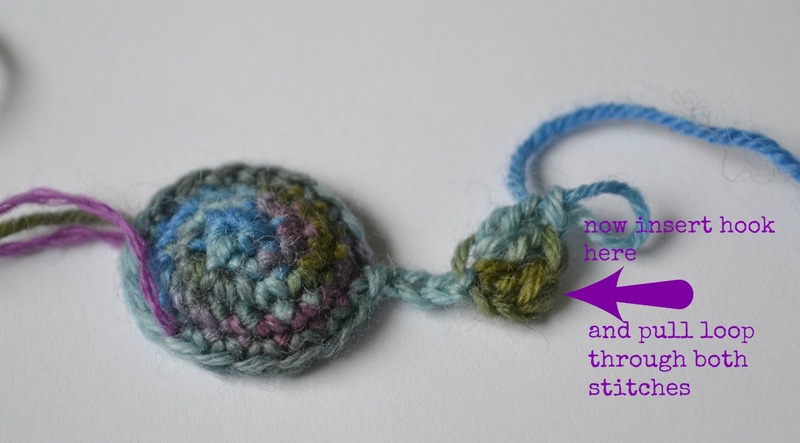 like the fact that there aren’t many bits to sew…on my ‘to do’ list and will send you a pic when I do. They are soooooo cute!!!! I love them! 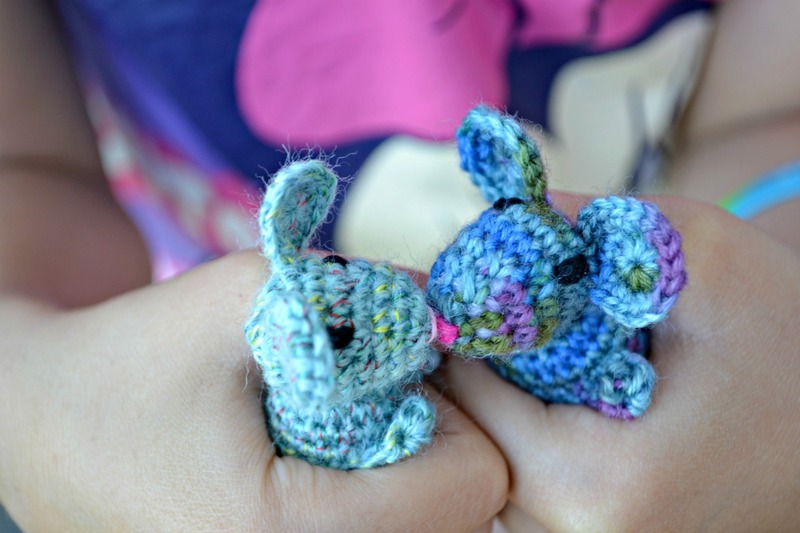 These are so cute, I think I will save this pattern to make for Easter gifts as I have my hands full with the items I need to finish before Christmas. 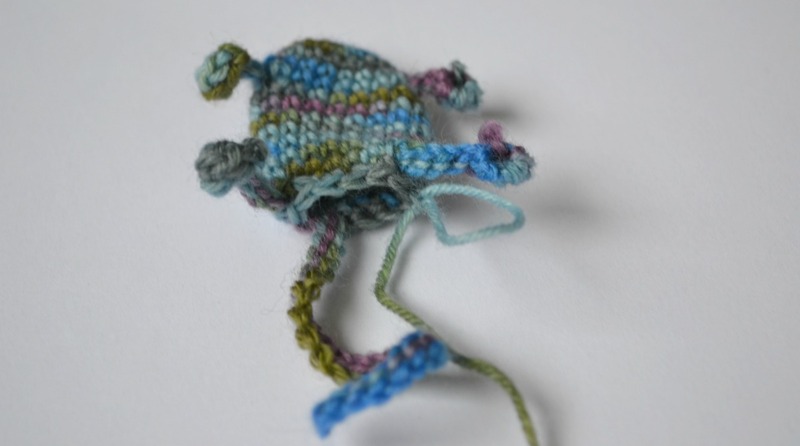 I just made this little mouse! It’s so cute and easy. I just have to put the eyes on it and I think I will use some large seed beads for them. Thanks for posting this pattern! So cute ! Thank you for the tuto ! I’ve been making mousies all day long. Thank you for such a fun pattern! They are fabulous, I love the santa and Mrs Claus outfits- adorable!! Thank you for your generosity Janett! Happy New Year and blessigns! Hello! The mouse is absolutely lovely, thank you so much for sharing from Germany :)! I could use some help though with the head part: i don’t understand the head pattern starting in round 6. sc2tog, sc. in next 2x 4, sc. in last 2 – 14 st. It never get’s me there… Can you help me out? Hello, I’m just discovered your lovely blog … there was a current link on http://busybeefree.blogspot.de/ which braught me to here! HOW CUTE THESE LITTLE MICE ARE!!! And thank you a lot for your lovely and detailed tutorial. 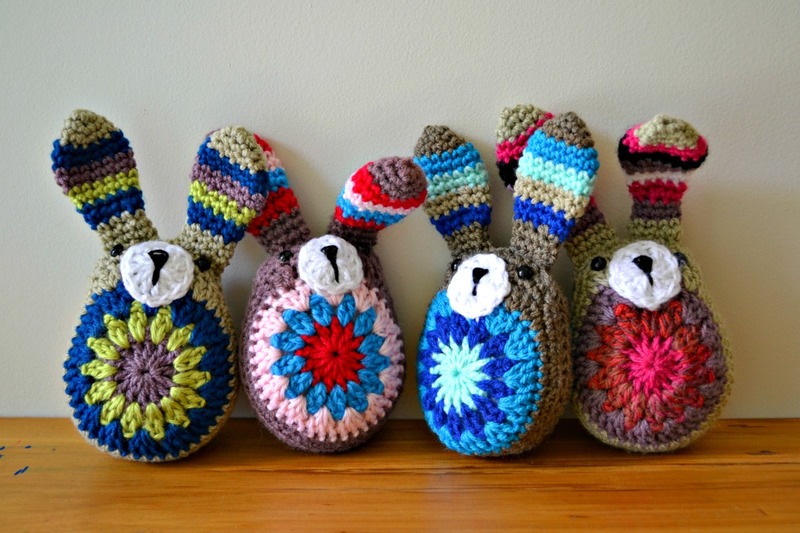 I think I will do it & make some as X-mas gifts this year!!! I really love these mice! The tutorial is really nice but I do wish that there was a video to watch these be made. I love your mice, but am having problems getting the shape of the head right. Mine always come out looking very round, not elongated with a pointy snout. 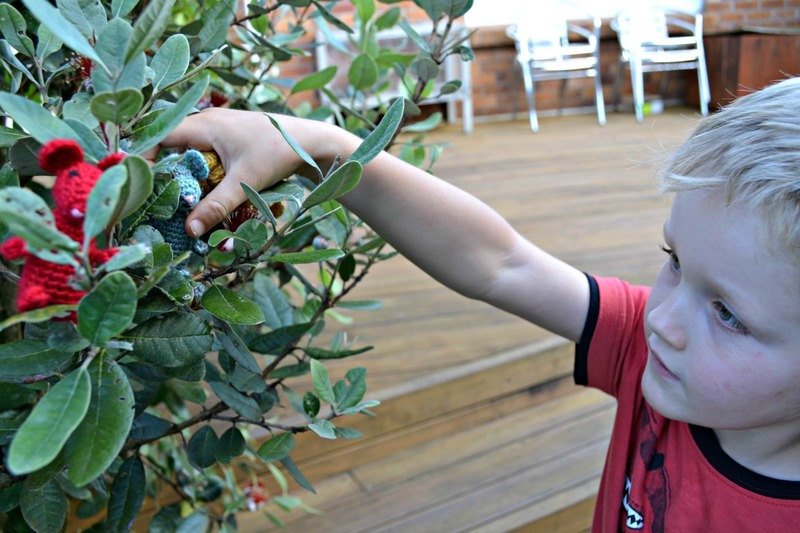 I have tried everything – to no avail! Can you advise. 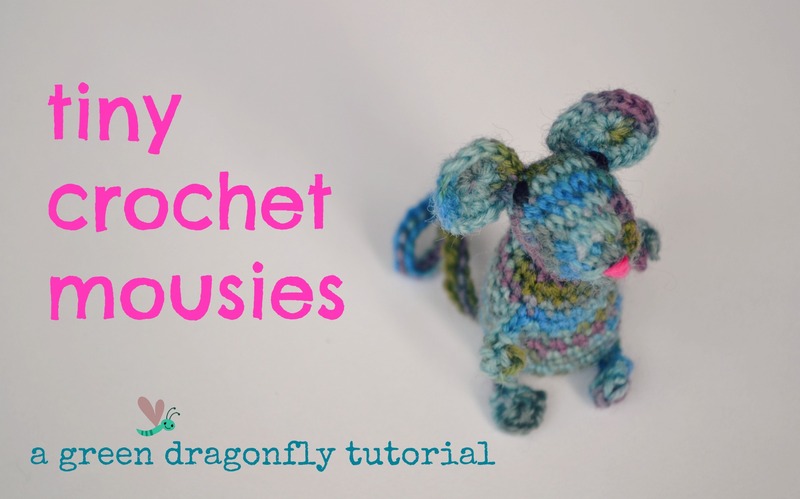 This is also the best pattern I have come across for crochet mice as you don’t have to crochet the limbs separately. Thanks for making the pattern available. In the meantime, help !! Sc2tog, sc in next st x4, ss into next st and FO leaving a long end. 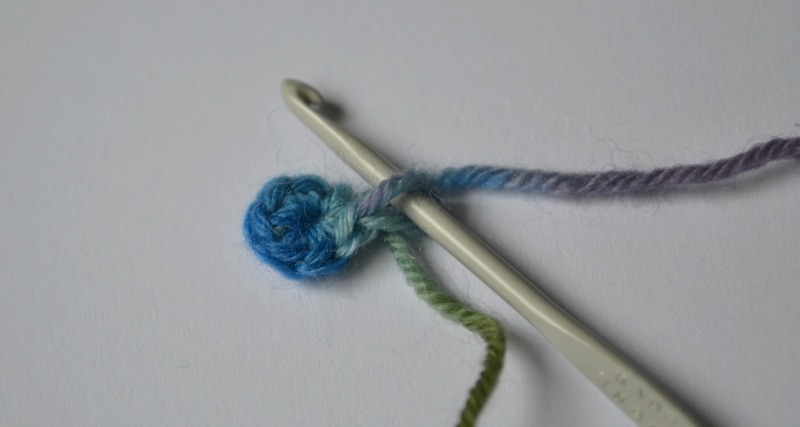 That to me means go into stitch; pull a loop, go into next stitch and pull a loop through all 3. Single stitch in the next stitch 4 times? 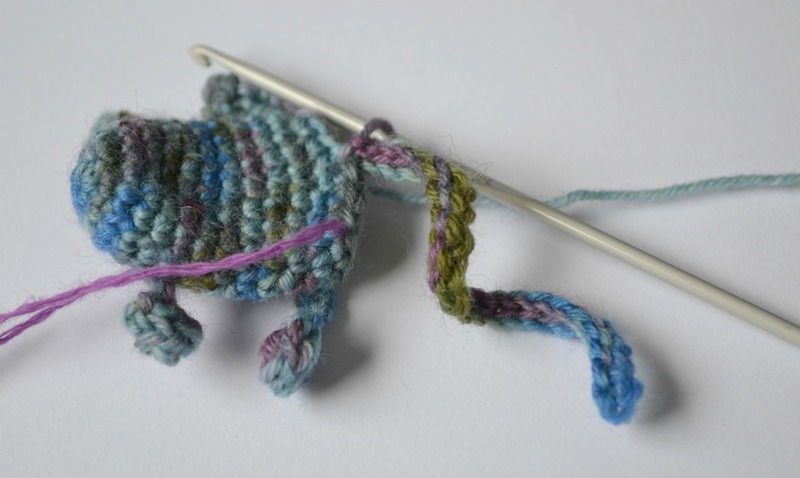 Then slip stitch in the next stitch and fasten off…. Right? 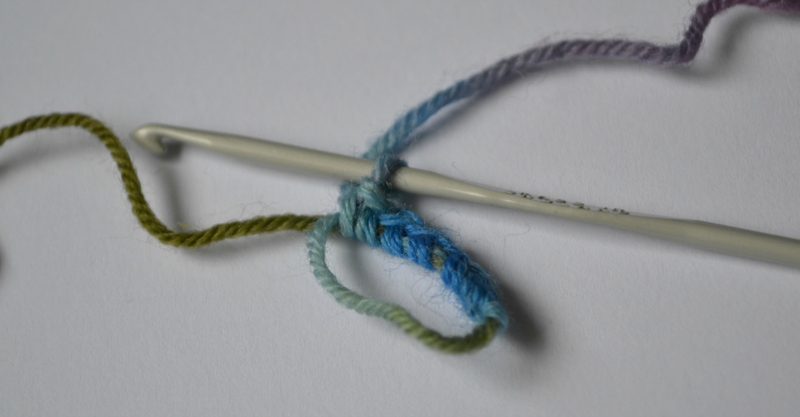 Or is that single stitch…in 4 stitches. Thank you! 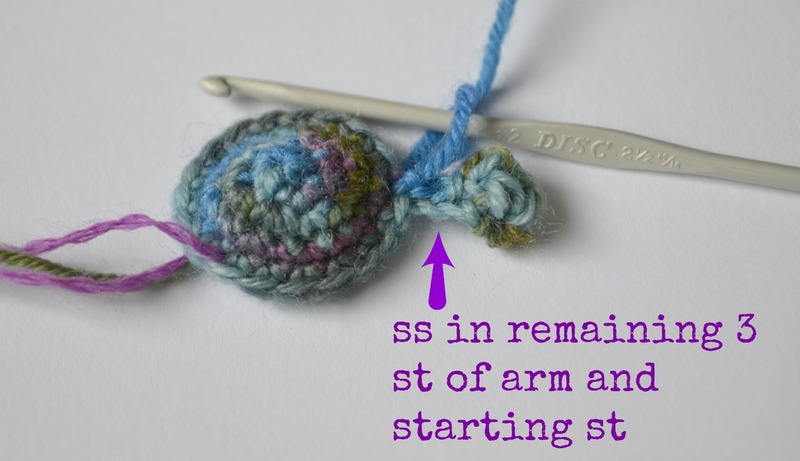 Hi, almost right… It’s sc 2 together then sc in next stitch and repeat these two things four times, then SS in the last stitch. Your hole should be pretty much closed when you are finished. Hope that helps! Love your tutorial on these cute little fellas! However, could you please explain how to stitch around the arms ? 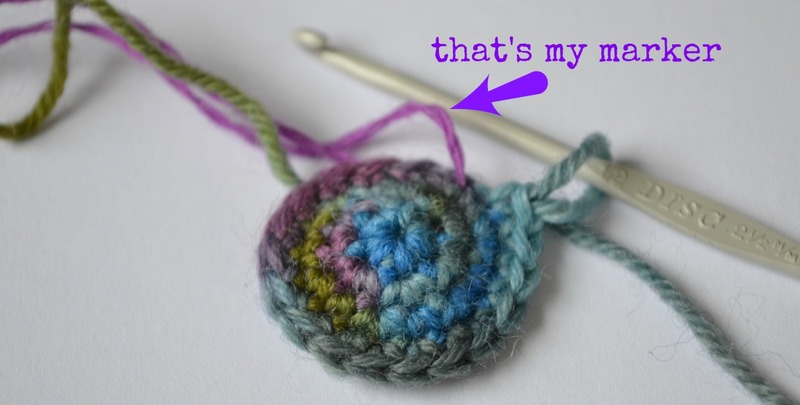 I am not a seasoned crocheter so don’t quite understand. 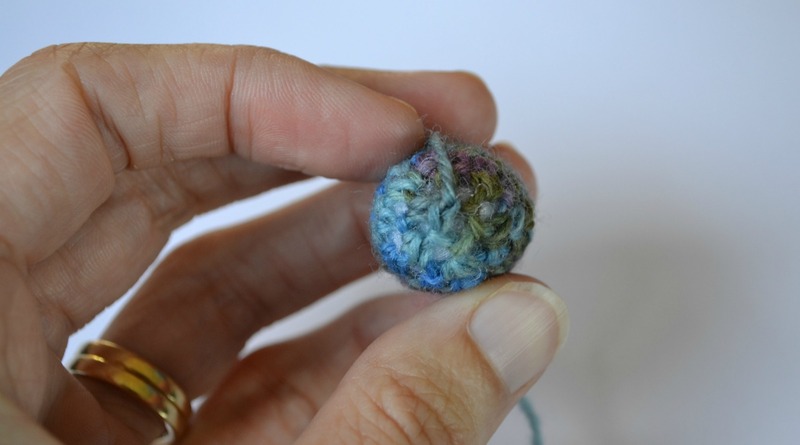 Thankful to people like you who write such lovely tutorials that one can self teach this age old technique of making beautiful things with a yarn and needle! Loved the pattern with the pics. (That helped a lot.) 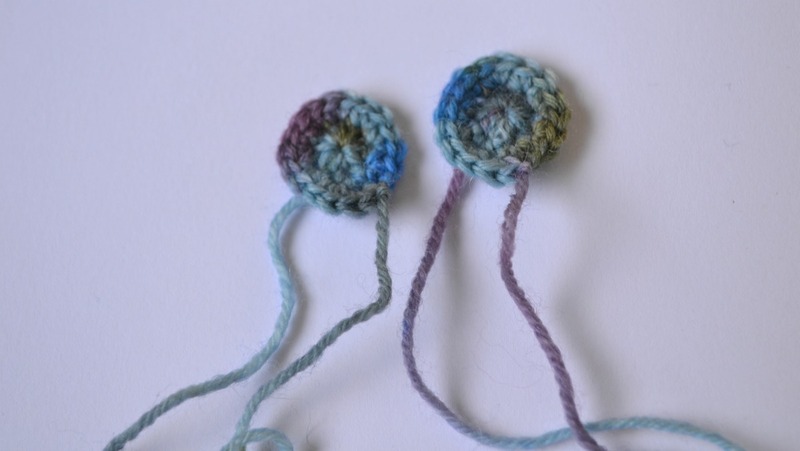 I made a couple in different yarns and the one was varigated. He ended up looking like he was related to a sock monkey in color except for the red. I finished him before I got to that color in the yarn. So crocheted the red into a little scarf for him. Gave them a couple whiskers too…lol. Thanks again for the cute pattern.